As Interdisciplinary Arts Curator, I planned and promoted events for an Artist in Residence pilot program for the visual and performing arts, at Vassar College. This included collaboration not only with the artists, but also with faculty and students from diverse academic departments and programs and with administrators across the campus, including facilities, security, media resources, and more. Public outreach was also an important component of this job, including social media in the form of the WordPress blog I developed for the program. This project ran from August 2010-June 2011, and was funded by the Mellon Foundation. 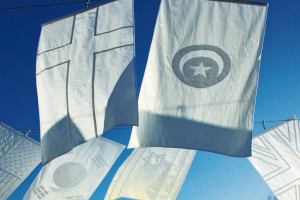 The projects highlighted in this pilot included both indoor and outdoor installations of “White Flags” by Aaron Fein with commentary by Fein and Dahlia Lithwick, and performances (including works in progress) by Heather Raffo and students. 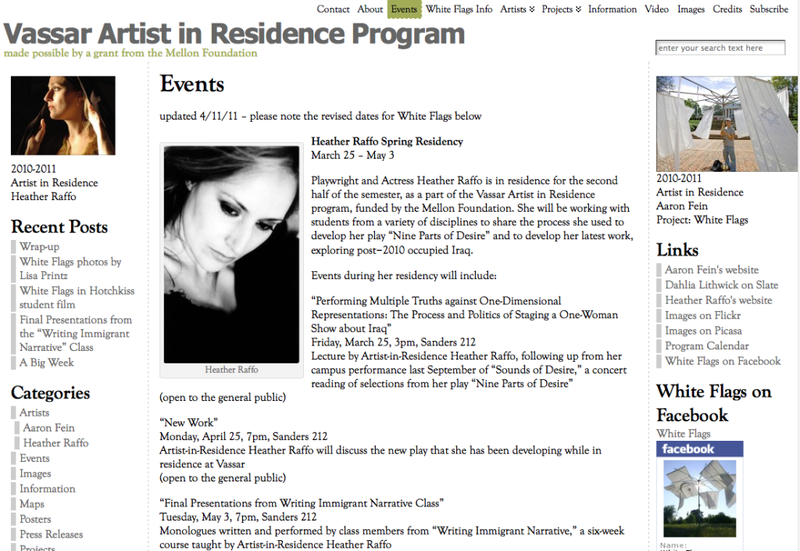 A screenshot of the Events page of the blog for the Artist in Residence pilot program at Vassar College.